I don't think it's possible to dispute that Yan had a sense of style. I still think that their towers with the lifting frames, like on the Sun Valley quads, are the best looking towers ever made. Your totally right about that SkiDaBird. Even though Yan's high speed quads didn't work as hoped, they were still some of the most beautiful lifts ever made. I'm a bit sad that I will never get to ride an unmodified Yan HSQ. don't be sad, be grateful. Found some more, these are Broadway at Mammoth, and Prospector and Carpenter at Park City and Deer Valley, respectively (Prospector pic is a composite of two frames, sorry if it doesn't look great). Wow, great find! A bunch of other interesting lift shots in there too. I see the Park City gondola, original Crescent Yan quad, pre-shortening Ski Team, Three Kings, and then at Deer Valley you can see the Wasatch, Homestake, and Clipper Yan triples. Also a good Delta 727 at SLC airport. Mammoth Mountain Ski Patrol's rope evac training video has some good shots of Chair 1 pre-retrofit in action. I'll try to see if I can track it down and post it. 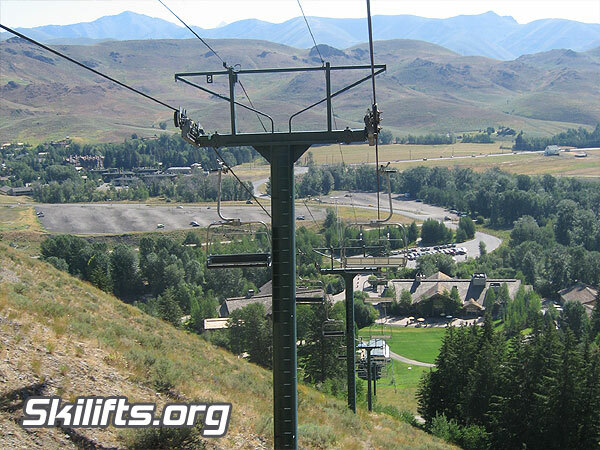 That thread also contains some nice photos of the Riblet double that came before the Montezuma Express lift, and the Erickson triple that the Summit Express lift replaced. The Remontees-Mecaniques photo-article of the Spain Yan detachable quad installation was update a couple a months ago, so worth checking out again. It broke down this season and never reopened. It will be replaced this summer.